Drain-to-Source Breakdown Voltage: -100V min. Breakdown Voltage Temp. 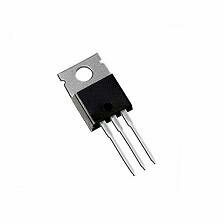 Coefficient: -0.10V/�C typ. Static Drain-to-Source On-Resistance: 0.60Ω max. Total Gate Charge (ID =-6.8A): 18nC max.